Lawmakers might not renew deal with local tribe allowing more competition. New York state is not the only ideal and coveted location for companies to open up multi-billion dollar Las Vegas-style casino-resorts, dubbed as “destination resorts.” Florida is the next most attractive market, firms like Genting and Las Vegas Sands, powerhouses in the global casino industry are looking to develop Floridan properties into grand destination gambling resorts and bring in the big guns of competition to pre-existing gambling businesses in the Sunshine State. 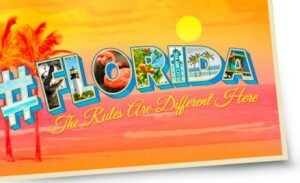 Florida already hosts 32 poker rooms and has the second most poker tables in the country, after California. Over-saturation could become a problem in a market with many gambling options. In Atlantic City four casinos alone closed last year. The major recent development came in deals that are supposed to be made with the local native band of Seminoles Tampabay.com news reports that state legislators will probably not renew a gambling contract with the Seminole Tribe. Every year the tribe brings in $2 billion from gambling alone. This contract gave them exclusivity to run lucrative house-banked games at its casinos. $116 million of that flowed to Florida from the tribe, according to the report. Under that 2010 agreement, the tribe had the exclusive right to set up the following games: blackjack, chemin de fer and baccarat in return for paying the state for excusive rights, including the sole right to operate slot machines at all its casinos. This basically had given them a virtual monopoly outside the Miami-Dade and Broward counties. Now all that can change. If Florida does not re-sign that agreement as expected, it can change the overall gambling scene in the state. More casinos and gambling establishments will want a piece of the pie. They will rev up their campaigns and convince wealthy gamblers from all over the world to come to South Florida. That could be good for tourism and would add more jobs to local economy. The main engine behind this change would be the game of Baccarat. Known as ‘the’ game of choice for big spenders and high rollers, a destination resort in Miami-Dade from either Genting or Las Vegas Sands (or both) would need permission to run that game. If the deal is not renewed, they will get that green light and start moving in their chips. In light of this news, the Seminoles aren’t standing idly by and letting the possible competition get ahead of the game. Last year, the tribe stated that it was spending over $100 million on casino upgrades to lure in more high stakes players. Champions of the destination resorts idea want the government of Florida to give existing casinos a chance to expand their offerings rather than allow only the tribe to benefit. That would mean lowering tax rates to allow them to better compete with the tribe. This would allow some to become a destination resort that would offer everything a Las Vegas casino could. It looks like the stakes are high for both sides. Whatever happens, Florida seems like it’s on the path to shaking up its gambling industry.